When Chariots of the Gods was published 50 years ago, it began a worldwide change in humanity's view of the cosmos. 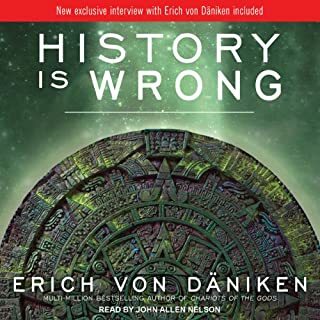 In an era of the military space race, Erich von Daniken boldly proclaimed that Earth had been visited by more advanced beings early in our history. But prescientific man had no concept of spaceships, so he called their vehicles "chariots", and those driving the chariots became "gods". 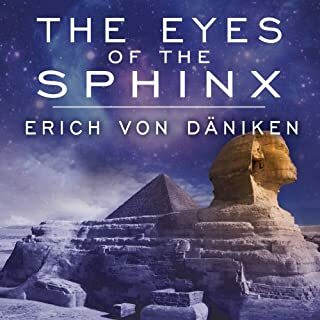 Over the next five decades, von Daniken's 32 books built an ever-stronger case for Earth being visited by extraterrestrial visitors. And Chariots became an international best seller, with 30 million copies sold in more than two dozen languages. Also during that time, the case for ET visitations millennia ago was being reexamined by contemporary UFO researchers, who found evidence of modern visitations. And von Daniken expanded his perspective to encompass the present. 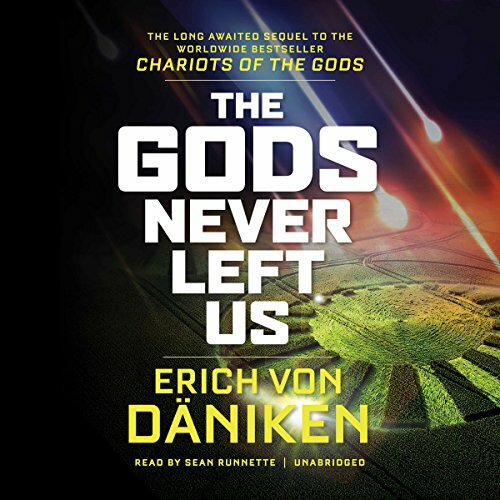 Now he presents his long-awaited sequel to Chariots of the Gods, proclaiming that the gods never left us, with all-new material to show that ancient aliens are still with us. 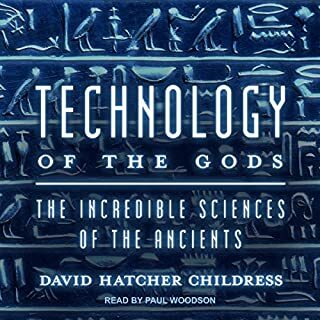 The Gods Never Left Us contends that recent advancements in biotechnology, astrophysics, engineering, and artificial intelligence not only give us a fresh perspective on his ancient astronaut theory but actually validates it. We are - as a race - embarking on the exact same trajectory of our own interplanetary colonization, just as von Daniken suggested Earth itself was colonized. 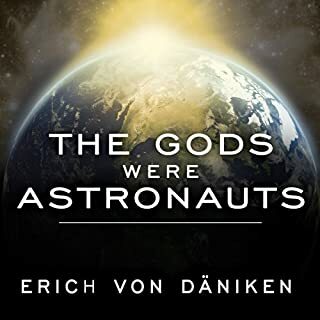 ©2017 Erich von Daniken (P)2017 Blackstone Audio, Inc.
Full of insight, that can only be obtained from years of research. So happy he put it on paper. Erich has once again done an outstand job. I would prefer to have this on real CDs, but... I have been following Erich for many years and I've asked so many of the same questions and many more. He's unafraid to challenge the mainstream. I've also been talking about reincarnation all of my life. I've told many people I remember past lives and choosing this life. Not any kind of punishment, but free choice again. I adore that Erich and many others are not confined to the chopped stories of the Bible. I was taught it when I was small, my Grandmother was convinced of it. I wasn't, and I started asking a lot of questions because the "God" in the Bible is mean. Not that I was wondering about the contents, but why she accepted most of the Bible as accurate. Years later I could answer that... She didn't consider herself an awesome. She loved her kids more than herself. Which should have been more mutual. After her croaking I started asking Churches questions they did NOT like! I was also booted from Church, some even were less than "Please leave." For years I've watched as people in power at Churches have dismissed Pagan ways, and called Pagans Satan Worshipers. Funny, because I was part of Pagan ways for many years after my Grandmother croaked and "Satan" never came into anything. Nor was anything evil. So, I adore the intelligent questions very much and diving into so much more. I'm not a "believer" in the religion of Science. Most Science tends to ignore reincarnation and dismiss it. After all, everything is only the brain...and we are all blank slates when we're born. Well...that's not accurate, not at all, there are many that know they have lived before! 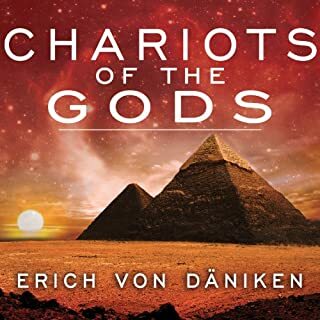 The Anunnaki make sense to me, So does what Edgar Cayce did... A fantastic book, even though it's not read by Erich, Sean seems to capture him pretty well. I also very much adore the comments about "None Binary"....I have thought the exact same stuff, Erich!! Go, Go, Ancient Aliens! Hello Enki!! As well as those that were before them. Very fascinating and makes 100% sense. this book is information packed and worse listening to. to the reader, or listener in this case, is that the narrator Lacks enthusiasm for the words he is reciting. 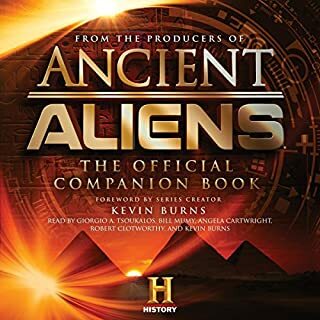 This book would have been far more entertaining and no doubt have elicited greater income for Audible had it the narrated by Stephen Bel Davies. Davies as narrated the series by zecharia sitchin and has John out of this world job at capturing the intent behind the words. The narrator of this book Falls far far shorter of that standard. It is nevertheless worth suffering through the narrator for the information the book contains. that said, I would highly recommended on the merits of the book's content. I am thankful for his continuous research and effort in making humankind to understand the ET or Ancient Aliens . This world operates on materialistic needs and always looking for “ What is in for me or what benefit do I have “. Any one with curiosity and open mind , they will understand the irrefutable facts he puts on the table for the people to grasp . Fantastic book and facts based explanations. I think I may have to listen to it again. I think I somehow missed the Von Daniken wow moment. The reader did an excellent job but for me his non-Daniken voice got distracting once or twice. It made me think Steven Greer a couple of times, whom we should all know is, for lack of a better way, quite beneath Daniken. So what can I say? I've got to listen again. Erich does it again in the latest of his cumulative work. I listen and absorb. Years and years of knowledge broken down for those lucky enough to listen. OK... worth a read.. Nothing new, maybe a few insights. but if you like Erichs works this will work for you..
Nearly returned this as it seemed quite ridiculous, but the entertainment value kept me listening.